Four young Tibetans, among them two teenagers, were sentenced to up to 11 years in prison under the accusation of having leaked news of protests against Chinese rule to “outside contacts”. Chinese courts in two counties of Ngaba (Chinese: Aba) Prefecture in Sichuan Province have recently imposed jail sentences of up to 11-years on four Tibetan youths, including two teenagers, for having allegedly supported a self-immolation protest and for having leaked news of protests against Chinese rule to “outside contacts,” reported Radio Free Asia (Washington) October 1, 2012. While two are monks of Kirti Monastery tried in Ngaba County, the other two are a Kirti monk and a layman tried in Barkham (Chinese: Ma’erkang) County. The report said Kirti monk Lobsang Tsultrim, 19, was jailed for 11 years while his fellow-monk Lobsang Jangchub, 17, received eight years at a trial in the first week of Sep 2012. The monks were detained at the end of Mar 2012 and remained disappeared for over five months. They were accused of having helped with the protest of fellow Kirti monk Gepe, 18, who died after setting himself ablaze on Mar 10, 2012. Further details, including the monks’ whereabouts, still remain unknown. 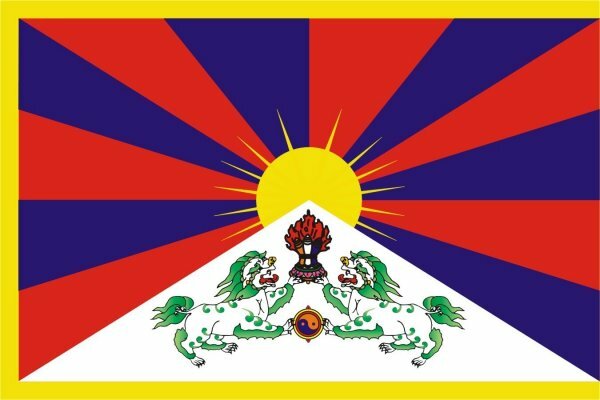 Elsewhere, on September 18, 2012, the Barkham County court sentenced Kirti monk Lobsang Tashi, 26, to a seven-year jail term for having allegedly leaked news in Tibet to outside contacts. He was held in November 2011 and remained disappeared since then for nine months. His mother’s name is reported to be Tsokjoma, with his family name being Kune. The same court was reported to have jailed Bu Thubdor, 25, a layman, for seven-and-half years on the same charge at the same trial. He too remained disappeared after being held in Nov 2011. The families of the two were given notice of their impending trial just two days in advance but were not permitted to hire lawyers. And they were allowed just a few minutes’ meeting after the sentencing. Their current whereabouts remain unknown, although they are suspected to be held at a jail in the Chinese city of Mianyang, Sichuan Province.